Most people believe the older brother was the leader. 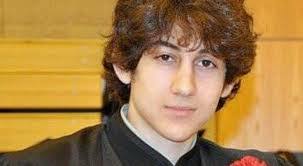 Dzhokhar Tsarnaev may be easy for interrogators to crack. BOSTON – Law enforcement sources tell ABC News that the Boston Marathon bombings suspect is awake and has been responding sporadically in writing to questions. Officials say they have been asking about other cell members and other unexploded bombs. Details on any answers given have not been released. A senior law enforcement official also told ABC News that FBI negotiators tried for roughly 20 to 25 minutes to convince suspect number two, Dzhokhar Tsarnaev, to give himself up. Officials say there was a verbal exchange between them and the suspect, and then the 19-year-old eventually fell out of the boat. Dzhokhar sustained a gunshot wound to the neck, raising questions over whether he will ever be able to talk again. Officials are trying to determine if the wound to the neck was self-inflicted. Boston Police Commissioner Ed Davis says the suspect remains in critical but stable condition, noting that he is not in a condition to be interrogated. Until that happens, police will not know definitively about other threats. Davis said charges will be coming out in the near future for suspect. ABC News’ Pierre Thomas reports that when they do come out, the terror charges are likely to include a “weapon of mass destruction” charge which carries a penalty of death charge.